Ks. Winiarski: Dlaczego nie przyjme uchodzcow? Our Lady Mother of Immigrants Catholic Chapel serves as the most important part of our Polish Community Center in Martinez. 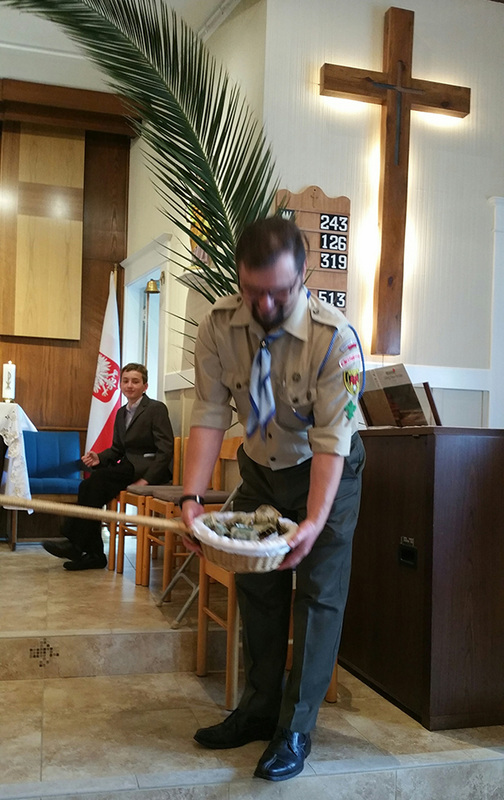 As a Polish immigrant community, we are called to preserve the uniqueness of our faith expression and to be enriched by the local church. We come with a great devotion to Our Lady of Czestochowa. The Chapel belongs to the Polish Pastoral Center and is led by Dk. 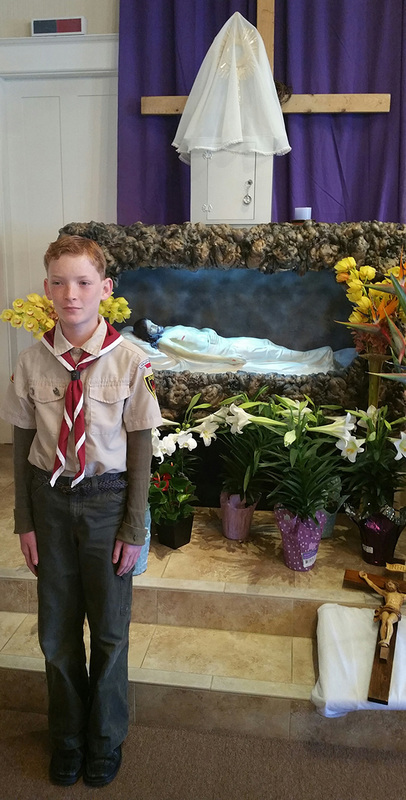 Witold Cichon, who serves the Polish community as a representative of the Diocese of Oakland. The focus of the Polish Pastoral Center is to continue the spiritual and social-cultural outreach to the Polish people and the American people of Polish origin. The religious organization seeks ways and means to strengthen the Polish heritage of culture and faith and to preserve our rich tradition. 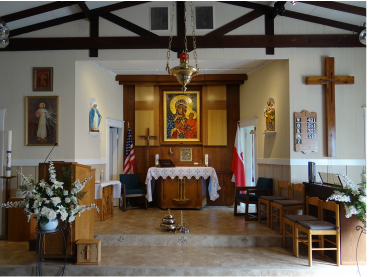 The Chapel itself was recently remodeled by a group of volunteers who, both belong to the Polish Pastoral Center as their parishioners, and who are serving as members of the East Bay Polish American Association. In the beginning, the chapel was founded, administered and led by Pastor Fr. Leszek Bartoszewski. 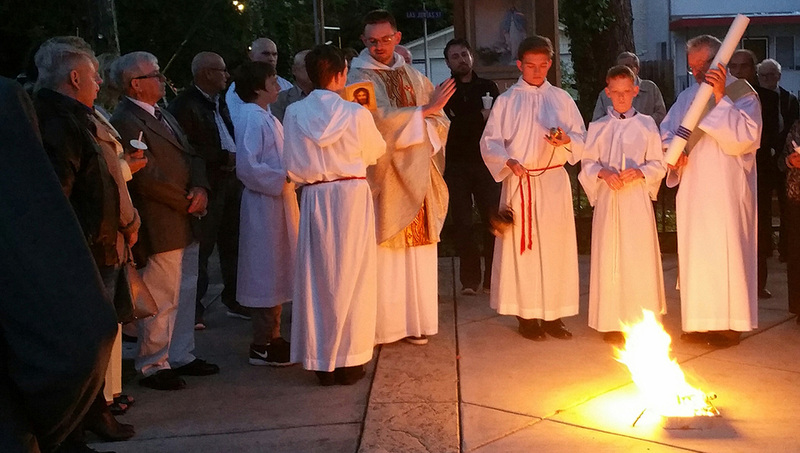 After his departure and for more than 10 years, the Order of Jesuits assisted the Polish community by holding Holy Masses on Sundays, led by Fr. Dominik Ciolek and Fr. Robert Wawer. ​After last of the Jesuits priests went back to Poland our chapel was "discovered" by another visiting Polish priest Fr. Mariusz Tabaczek from the Order of Dominican. We were blessed to have him among us for couple of years. After his doctorate he went as a scholar, to the University of Notre Dame. Fot.EBPAA - Wielka Sobota 15 kwiecien 2017 - Uroczysta Msza Rezurekcyjna w Kaplicy Matki Boskiej Patronki Emigrantow celebrowana przez o.Tomasza Galuszko. 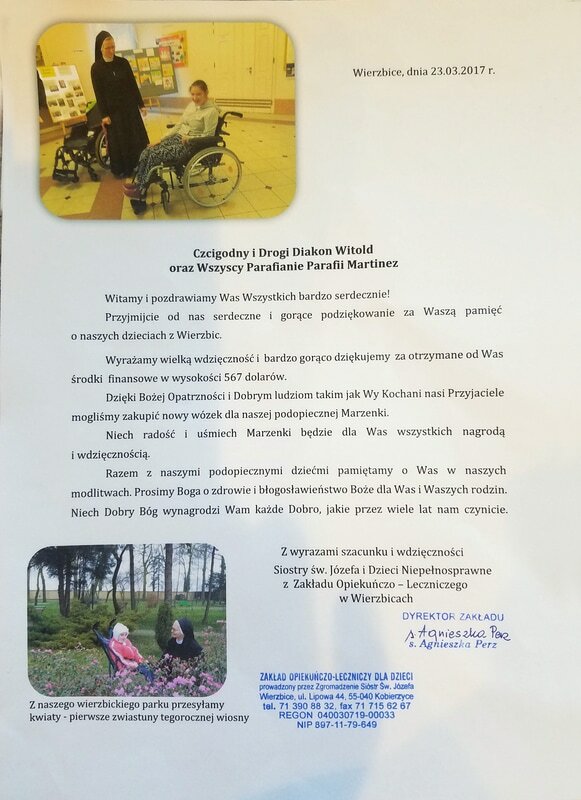 Od wielu lat Polish Pastoral Center i parafianie z kaplicy Matki Boskiej Patronki Emigrantow wspomagają tych, którzy tej pomocy potrzebują najbardziej. Sa to samotne i chore dzieci z Zakladu-Opiekuńczo Leczniczego w Wierzbicach, który prowadzi Zgromadzenie Siostr Zakonnych pod wezwaniem sw.Jozefa. 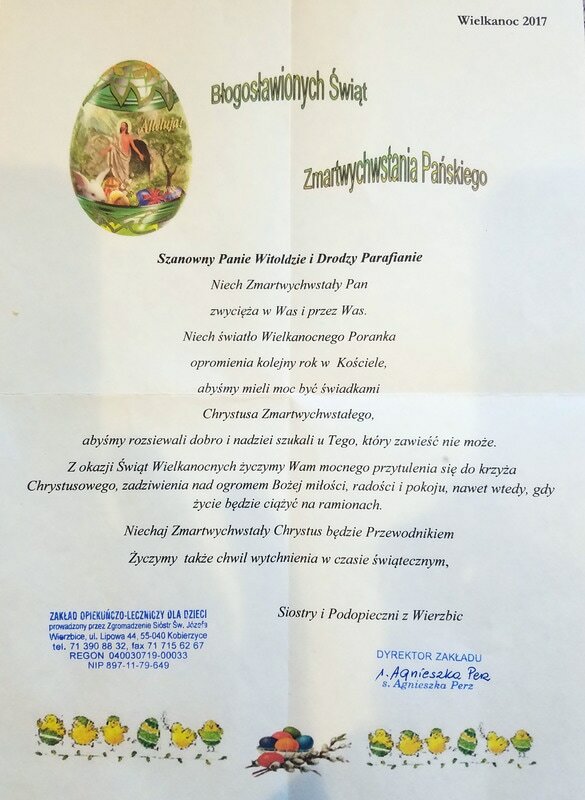 W okresie Wielkanocy otrzymaliśmy list i zyczenia swiateczne od siostr zakonnych, które całym sercem opiekują się chorymi dziecmi, pozwalając im zyc jak najbardziej normalnie oraz przygotowując je na samodzielne, dorosle zycie. Zachecamy do odwiedzenia strony internetowej zakładu http://www.wierzbice.jozefitki.pl/?k=1,1,1,,0, gdzie można nie tylko pomoc ale również dowiedzieć sie więcej o tym specjalnym miejscu dla dzieci oraz znaleźć wiele wspaniałych i wzruszających przykladow z zycia naszych najmłodszych chorych i samotnych.